As part of the research for this project, I'm narrowing down the board subject of Aston Martin, to a more precise, design of Aston Martin. The concept image for the Aston Martin DB9. Hand rendered by one of Aston's designers. 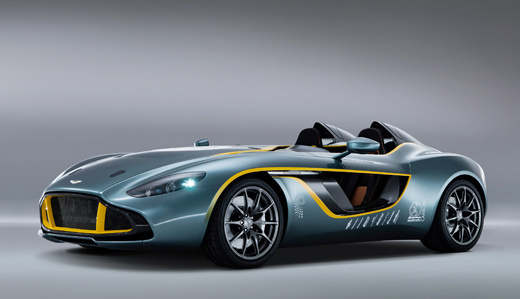 It's rather futuristic looking concept image, very different to the Aston's we see in production today. The shots of the production car, it looks similar to the concept images, as it should, but looks like a more refined, realistic version of the concept. Less futuristic, almost held back. It's more like some visual inspiration, as you can certainly see how the two images look similar. In the first of four exclusive films, Design Director Marek Reichman explores the timeless elegance of the Aston Martin DB9. The contemporary embodiment of automotive's most famous model lineage, DB9 combines a purity of proportion and muscular prowess to create a compelling and iconic design. 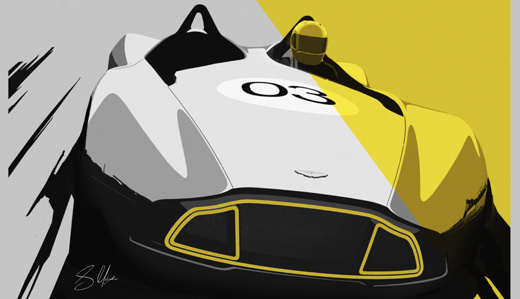 A rendering of the Aston Martin CC100 in a pit, or a workshop. A black and white rendering with the blue highlights, making the image look very futuristic. A contemporary illustrator of the CC100. A sketch of the interior of the CC100, presumably from the initial design stage. A video showing the design process and the production of the CC100 concept car. 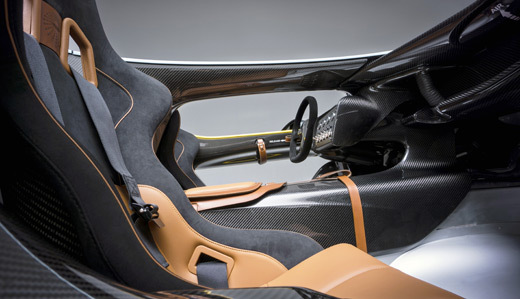 It's very interesting to see how it's done, from the designing, to sculpting a prototype, and to creating the car itself. It's very methodical and precise, showing the care and quality when crafting an Aston, as opposed to the machine lines you've seen in factors for larger scale production cars, such as Ford. Shots of the finished Aston Martin CC100, for comparison against the design photos. You can definitely see how they've got to this from the concept sketches and designs seen above.